We will start heave this time, and enter the heaviest category for men over 95 kg. In this category we have quite a lot of movement since last year, fighters coming up from the category below, some have gone down to the under 95 kg category, and some have retired since last year.This means that we have little new top line in the category. Mainly not new names, but as mention different set up comparing to last year. Last year top 4, two are attending this year. One have moved down to -95kg, and one have retired. We have two reign European Champions in the category: Eventas Gužauskas / Lithuania and Maciej Mazur / Poland. Mazur coming up from the under 95kg category. These two fighter will be consider the biggest favorites. Both well rounded and very experienced in the game, fighting smart to save energy later on in the tournament. 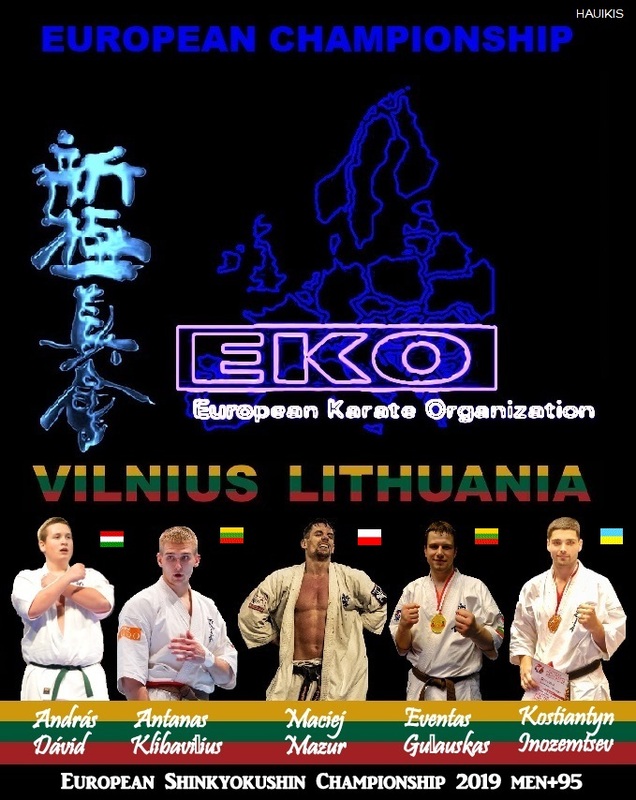 The Lithuanian team will be a factor, not only bringing in good fighters, but also have three fighters in the category being the host of the tournament. Antanas Klibavičius and Paulius Žimantas. Žimantas multiply EC Champion for juniors, and reign U-21 EC Champion from November 2018. 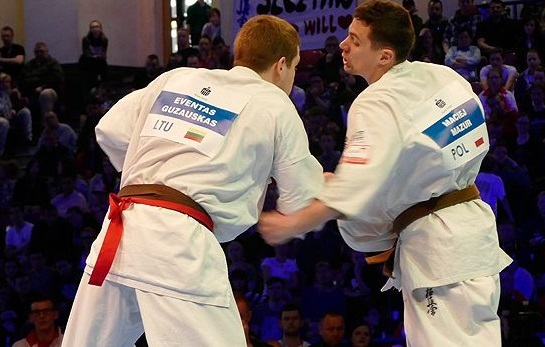 Klibavičius have not a heavy European Championship record, but consider being one of the fighters that will advance in the tournament. Manage to reach the final in EC Open-Weight 2013. Last year Ukraine did their best EC ever with many fighters at the podium. In the two heaviest categories Kostiantyn Inozemtsev (-95kg) and Anatolii Zhuravel (+95) made their way to the podium, both taking 3rd place. This year, they have switched categories, Anatolii Zhuravel down to under 95kg, and that brings Kostiantyn Inozemtsev into the heaviest category. He made a good impression last year, winning against fighters from Poland and Lithuania – before he lost to the champion Mazur in the semi-final. Up to now, we have listed the most merited and perhaps profiled fighters. Close to the top line, we have a pack of wolves that will put on the pressure and one mistake – they will be there. Simon Pålsson / Sweden and Hungarian fighters András Dávid and Gyula David Gulyas. All with their own style and strengths that will make it very interesting. These fighters have the capacity to reach the podium – as some of them have done before. Hungarian fighter András Dávid did reach 3rd place last year, and laid a heavy pressure in the veteran Brian Jakobsen / Denmark. After extension, the Danish veteran got the victory, scoring with low-kicks. Will Mazur keep it up, and continue with his success? -or will the Lithuanian fighters with manage to stop him and others, as Gužauskas defending his tittle. And ho will the impact from the rest of the fighters and the draw play in? We can only wait as the excitements raises..